This week I took advantage of spring and the Aries energy to start something new! I am delighted to announce that April 8th I began sharing live on Facebook! These videos complement the theme of my blogs this year – Enter the Miracle Zone – Prepare Now for 2020. At least once a week I will explain the current astrological events, how they are impacting us, and how we can take advantage of the energies to optimize how we create and manifest. It is very important to use 2019 — a 3 year (positive mind) and Jupiter in optimistic Sagittarius to get ready for the heavy Saturn/Pluto/Capricorn energies that will confront everyone and the planet in 2020. You can watch my first five videos on Guru Rattana Facebook. #1 I announced my intention to share with you in person. # 2 Working with the Mind – Even though…..I love myself. Please share with me what interests you and where you are from. I read all the comments and do my best to answer your questions. It is great to be with all of you! Thank you so much for joining me. See you soon on-line. P.S. In Video #5 I mentioned the Morning Call Meditation – Long Ek Ong Kars. 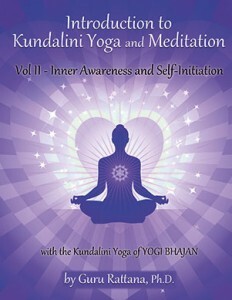 Detailed directions for chanting this powerful meditation is found in Introduction to Kundalini Yoga Volume 2. (available in both printed and e-book format from Yoga Technology) I will chant it for everyone on one of my future videos.